The American Slavery Project commissioned several African American Writers to examine the 419 graves of the anonymous black men, women and children slaves, free men and indenture servants who lived in colonial New York and are buried at the African Burial Ground. The writers imagined their lives. These are their UNHEARD VOICES. Featuring Larry Floyd, Lynnette Freeman, Devin Haqq, and Melissa Murray-Mutch. With percussion by Baba Don Eaton, vocals by Joyce Adewumi and members of the New York African Ensemble. 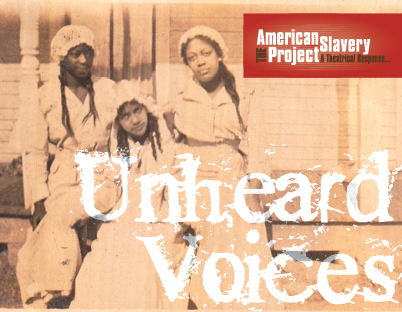 UNHEARD VOICES will be followed by a post-show conversation with members of the American Slavery Project Collective and you!